Spring begins on Wednesday, but Spring is already in the air at ALWAYS in the MIDDLE! I have a review of THE ASTONISHING MAYBE by Shaunta Grimes. Click the bright colored bird to reach my post and do the same for each of the features and reviews below. Faith Hough at Life’s An Art! interviews Heather Dixon Wallwork, author of The Enchanted Sonata–and also has a GIVEAWAY of her book! Patricia Tilton at Children’s Books Heal reviews Over the Moon by Natalie Lloyd, about a girl who is differently-abled and dreams of flying among the stars. Mark Baker at Carstairs Considers is back for the second week in a row with a review of The Revenge of Magic by James Riley. Dorine White at The Write Path has an interview with Kelli Call author of It’s Not Easy Being a Superhero. Maria Antonia at Of Books, Photography, and Tea reviews Copyboy by Vince Vawter (sequel to Paperboy). 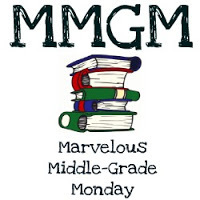 Michael Gettel-Gilmartin at The Middle Grade Mafioso features Michele Weber Hurwitz’s ETHAN MARCUS MAKES HIS MARK. Suzanne Warr at Tales from the Raven returns to us this week with a useful post for us budding author types entitled Seven Self-Care Steps for Successful Authoring.